Soft inside, firm and crunchy outside, this brown butter cookies recipe is really one of the best cookie recipes around. 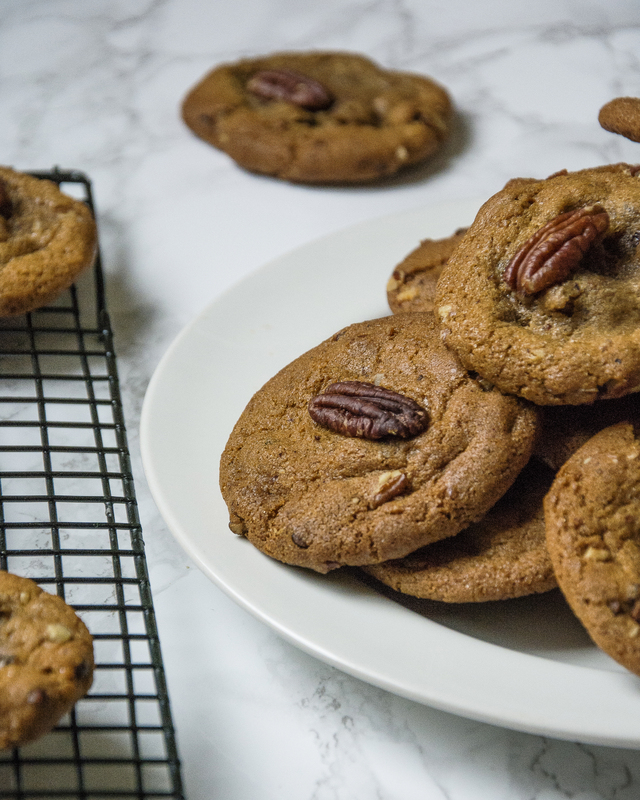 Full of flavour from the browned butter, the pinch of cinnamon and with a wonderfully crunchy texture from the added pecans this recipe really is a must try recipe for autumn. Morning Campers! Lovely to have you here. I'm Sarah and I'm the brains behind WhatsEatingManchester. I am a full time photographer and part time food fanatic. I have held every job in the restaurant business and food is what I do. I created WhatsEatingManchester as a place to bring together and share all my favourite recipes and images.